But relatively little is known about the people who own homes there. Of the 76 apartments sold in the 86-unit building, 64 are registered to corporations and just 17 are listed as primary residences, according to Nicholas Shaxson, who wrote a greatexposé of the building in this month’s Vanity Fair. Even so, Shaxson and others have found out who some of One Hyde Park’s owners are. 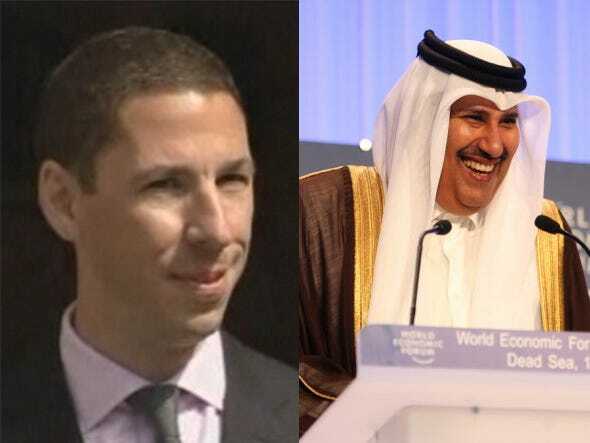 Get to know some of the sheikhs, oligarchs, and global rich who own apartments at the world’s most expensive apartment building. 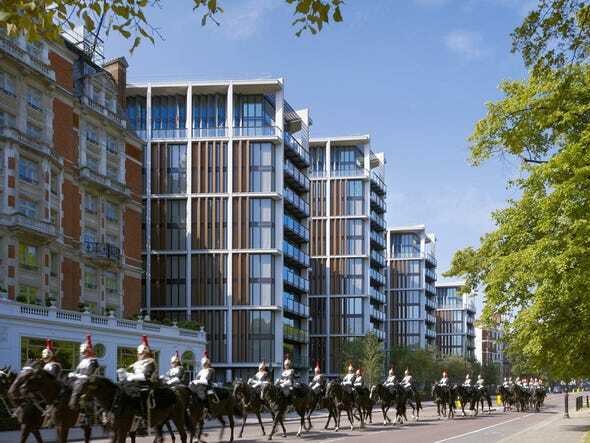 One Hyde Park, located in Knightsbridge, is adjacent to Hyde Park and the Mandarin Oriental hotel. 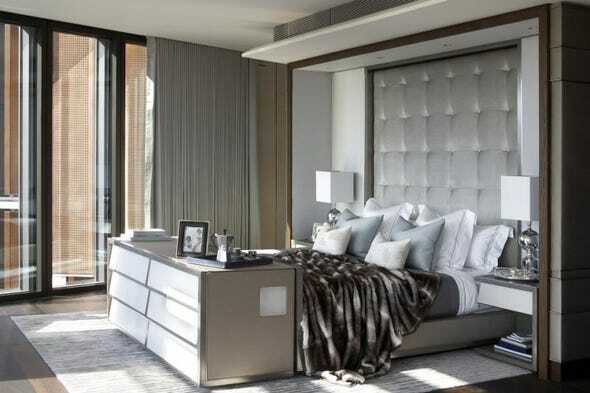 The per-square-foot price of a unit at One Hyde Park is 10 TIMES the price of average residential real estate in London, and nearly three times more than luxury real estate in the city. Among other perks, there’s a stainless steel ozone pool, an entertainment suite, a golf simulator, and a spa run by the Mandarin Oriental. There are also three retailers on site: Rolex, McLaren, and Abu Dhabi Islamic Bank. Photos are of apartments currently for sale at One Hyde Park; not actual residences. 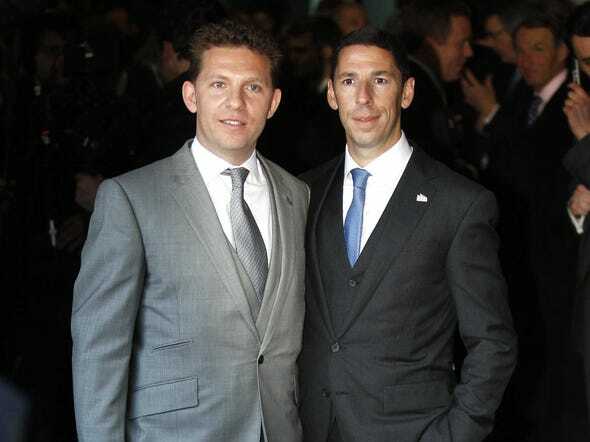 Christian Candy reportedly has two apartments that cost $85 million. And Nick Candy owns an 11th-floor duplex penthouse. 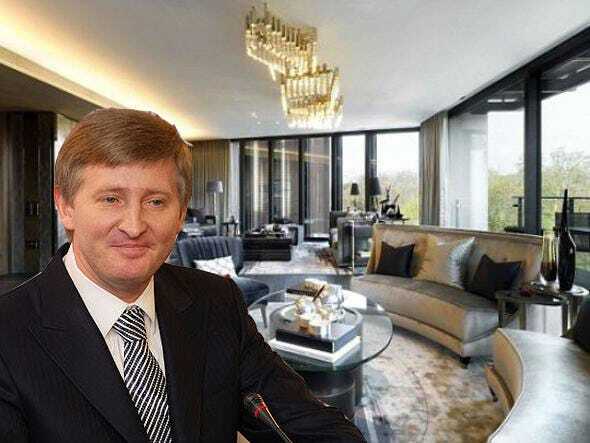 In 2010, Ukrainian oligarch Rinat Akhmetov paid $216 million for a penthouse in the complex. It’s the most expensive home ever sold. Two apartments worth $43.7 million are owned by Professor Wong Wen Young, likely the Taiwanese business tycoon Winston Wong Wen Young. 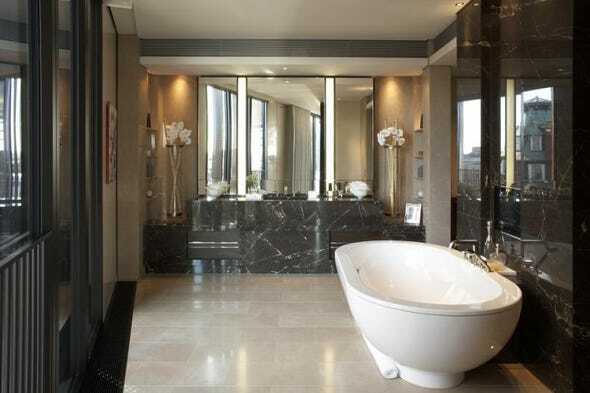 In April 2011, Australian pop star Kylie Minogue dropped $25 million on a three-bedroom flat in the complex. Mohammed Saud Sultan al-Qasimi, head of finance for the government of Sharjah, part of the UAE, reportedly paid $18 million for his apartment. 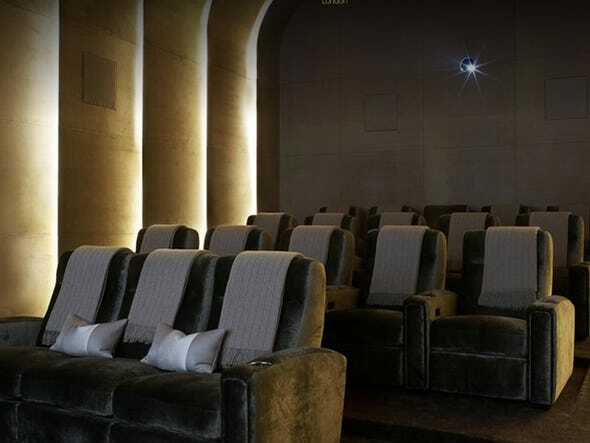 At least one apartment is owned by Russian real-estate tycoon Vladislav Doronin, who is dating supermodel Naomi Campbell. 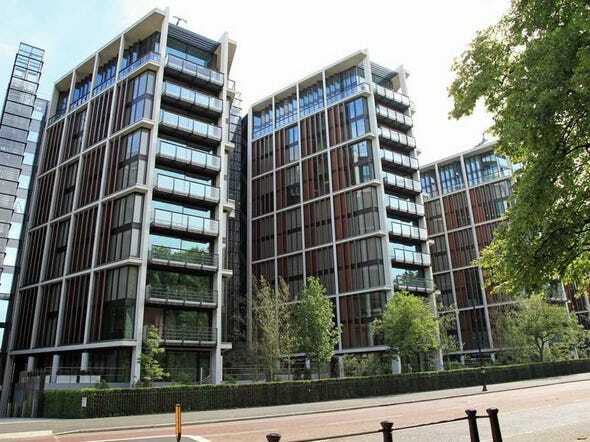 Nigerian billionaire Folorunsho Alakija is believed to have spent $123 million on several apartments there, all supposedly registered under the name Rose of Sharon. Vladimir Kim, a copper baron and the wealthiest man in Kazakhstan with a net worth of $2.3 billion, also owns a home there. And Rory Carvill, an insurance entrepreneur and chairman of U.K. based R.K. Carvill & Co. Ltd. reportedly paid $33.5 million for his residence and additional storage space. Two apartments held by Irina Viktorovna Kharitonina and Viktor Kharitonin, presumed to be a co-owner of Russia’s largest domestic drugmaker, cost $49.8 million. 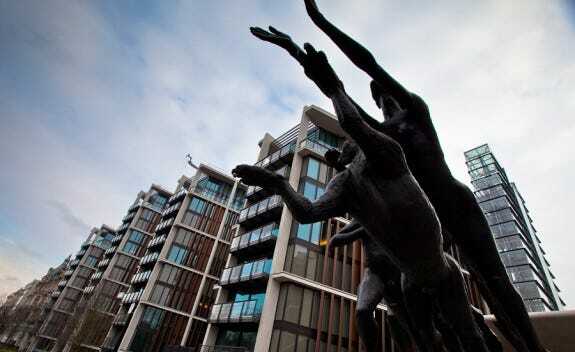 Want to live in One Hyde Park? You’re in luck—a 5-bedroom flat there recently came on the market. 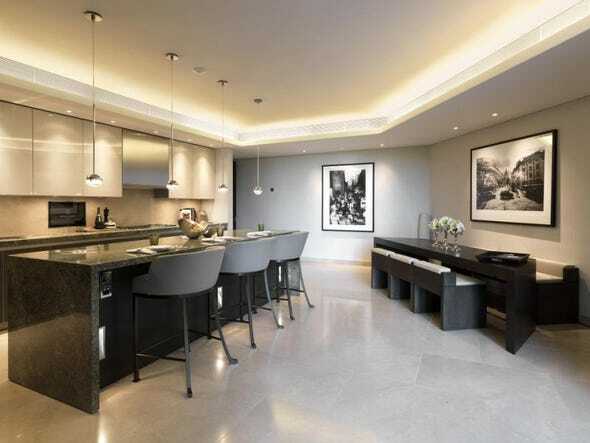 At $101 million, it’s the most expensive apartment currently for sale in London.